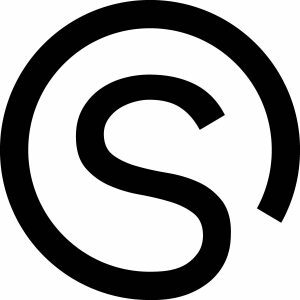 If you want to support SANCTUARY and feel you can provide a safe space, post this S symbol on your door or drop it in a signature in your email. Download and share here. NYU Immigrant Defense Initiative provides free, confidential advice and representation to NYU students and staff who have Deferred Action for Childhood Arrivals (DACA), who are otherwise undocumented, or who have immigration status but are at risk of deportation. Information for NYU faculty & travelers across the global network coordinated by the Office of the Provost at NYU. This includes a powerpoint on context around the issues and a detailed report of the findings. #DefendDACA: Resources for Resistance: On Tuesday, September 5, Trump ended the Deferred Action for Childhood Arrivals (DACA), which provides young immigrants who arrived in the US during childhood without legal documentation protection from deportation. It is a bare-bones policy of human decency and now over 800,000 young undocumented immigrants are at risk of losing DACA and facing deportation from their own country. This page includes resources for students with DACA; ways to fight back; youth-led organizations to support and get involved with; and a list of books, stories and poems. #GlobalForWho? Information on the NYU-AD Travel Bans: In October of 2017, NYU Professors Mohamad Bazzi and Arang Keshavarzian, who were both scheduled to teach at NYU Abu Dhabi, were denied visas to the United Arab Emirates. In both recent cases, NYU is complicit in the enforcement of arbitrary restrictions on movement. In remaining silent on the recent cases of a de facto Travel Ban at its NYU-Abu Dhabi campus, NYU is effectively allowing the arm of Emirati censorship to reach across all of its campuses. NYU needs to rebuke and combat this ban, in private and in public, if it intends to protect the integrity and independence of its scholarship. Harvard Immigration and Refugee Clinical Program (HIRC) HIRC takes the lead in representing clients who are seeking protection from being returned to human rights abuses in their country of origin, as well as those who are seeking protection after years of living in the United States. CUNY CLEAR (Creating Law Enforcement Accountability & Responsibility) Project aims to address the unmet legal needs of Muslim, Arab, South Asian, and other communities in the NYC area that are particularly affected by national security and counter-terrorism policies. CUNY/Citizenship Now! provides free, confidential immigration law services to help individuals and families on their path to U.S. citizenship. City Bar Justice Center’s Immigrant Justice Project helps immigrants, asylum seekers, survivors of violent crimes and trafficking, and other individuals seeking humanitarian protection and relief. Immigration Equality has no income restrictions, but serves only LGBT/HIV+ immigrants seeking asylum or other humanitarian relief. Info and Resources for Undocumented NYU Students Specifically for NYU students, this provides answers to common questions, shares information and updates as they become available, and includes links to resources. National Immigration Law Center Offers tip sheets on DACA, health care, economic support, immigration enforcement, workers’ rights, driver’s licenses, education, and taxes. Immigrant Opportunity Agenda Make the Road New York introduces these measures that New York should swiftly adopt to show that the state truly stands with immigrants. HOW TO: Show Up for Refugees A repository for tools, guidelines and inspiring content to spur protest art idea with art kits and tutorials. CAIR Muslim Community Safety Kit The Council on American-Islamic Relations assembled this resource kit specific to the Muslim community to provide necessary knowledge to protect against anti-Muslim attacks and to secure basic legal rights. Before You Travel This Tip Sheet by CUNY CLEAR is on how to prepare and what to expect while traveling. What to Do When Encountering Law Enforcements at Airports and Other Ports of Entry into the U.S. Know your basic rights when being questioned, searched, and other information for entering into the U.S. Expanding Sanctuary Policy Solutions – A Crowdsourced Guide A compilation of current bills to help answer any questions about becoming a sanctuary. Sanctuary Campus: Frequently Asked Questions Created by Harvard Law School’s Immigration Responsive Initiative (IRI) at the request of Movimiento Cosecha.